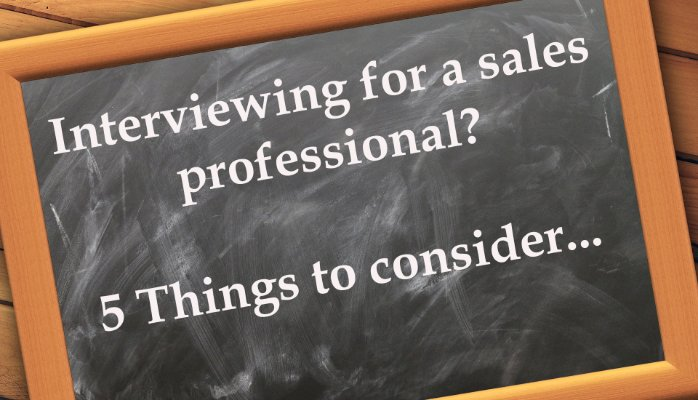 Interviewing at any level is a skill, but certainly when it comes to interviewing experienced sales people you want to ensure your questions and interview style are strong enough to identify their skills and portray your business as one they want to work for. Recently I wrote an article on interview tips for salespeople and instantly referenced the importance of preparation. This works both ways, especially in the candidate short marketplace that we find ourselves in today. Reading the CV two minutes before an interview does not count as preparation and will leave the interview dull and lifeless. Prepare yourself, read the CV, check out their social profiles, see what others say about your prospective new sales hire through LinkedIn testimonials and endorsements. Plan your questions, ensure they are going to highlight skills that you are looking for in new recruits. Competency style questions are great for this. You will receive a far stronger insight into an experienced salesperson abilities by asking for examples. Are you a hunter? Do you like new business? Tell me about a time when you sourced a new account? How was it sourced and closed? One will give you a yes or no, the second will demonstrate ability. Good salespeople are hard to find, post-recession, businesses are looking at new ways to retain their staff, counter offers are more popular than ever, and the market is short of skilled, seasoned, salespeople looking to make a move. Interviews are a two way process, whilst you need to use effective questioning to identify if the candidate is right for you, you also need to ‘sell’ the opportunity to them. Take time to understand the candidate’s motivations, match them to how your business can help satisfy their aspirations and tell them all about it. Align your goals and create a shared passion. 4. Know the real reasons for leaving. Take the time to challenge and understand reasons for leaving. Many times redundancy and ‘it was a mutual agreement’ tend to be left unprovoked. They can be genuine or they can hide a real truth. You may want to try…. How many people were made redundant and what was the reason for the redundancies? How was the decision made on who kept their job and who was made redundant? Tell me about the day when you made the decision to leave, what happened? If we were to obtain a reference from your boss what do you expect it to say? These will help clarify the situation. If you interview an experienced salesperson who presents with the skills and values that you look for, don’t dally… It is a competitive marketplace and good, experienced salespeople are in demand. If you identify someone to take to second interview, waiting for a comparison could leave you in a situation where you have no one. Trust your instinct and move quickly to secure top talent. What other tips would you offer when recruiting experienced salespeople?